The Heart of Summer at CommonWealth Urban Farms! | The Heart of Summer at CommonWealth Urban Farms! $10 per class; $15 per couple/pair; free to volunteers. See full schedule and season rates HERE. 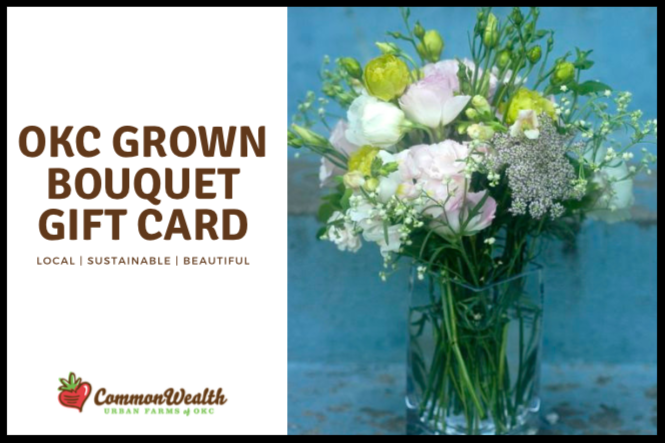 Actually, you can buy single bouquets, or larger arrangements, from us, too. But you save 30% if you buy the gift card :)Email us to arrange pick-up ahead of time on Wednesdays or on Saturday mornings on the weeks of your choice. Pick-up of bouquets is at our farm at 3310 N. Olie, OKC. 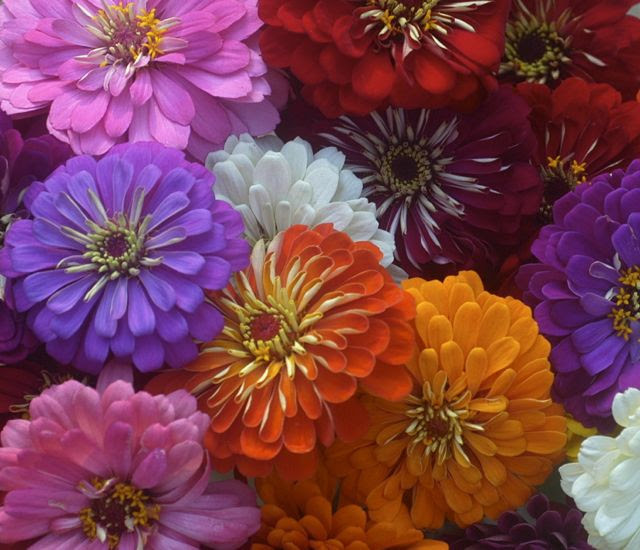 We are harvesting loads of flowers from our flower field! They are crazy beautiful, they make us happy and we hope they’ll make you happy, too. 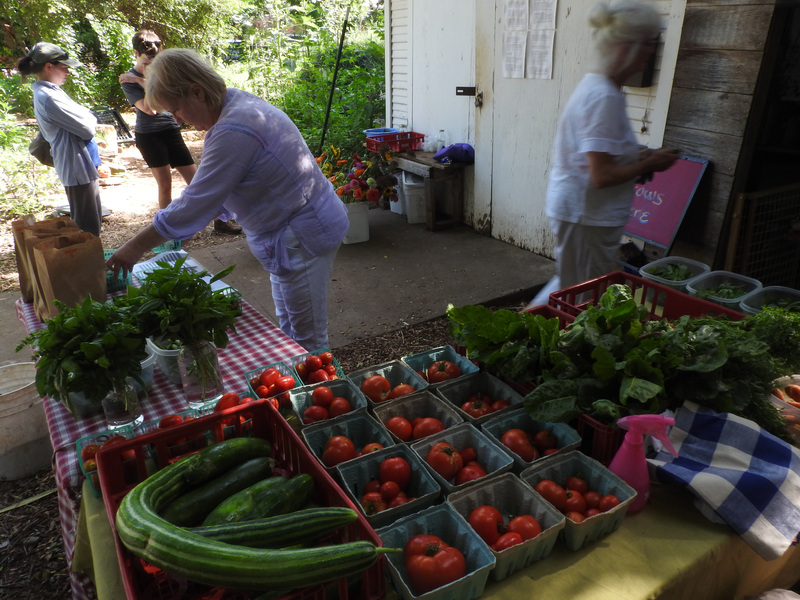 We thank you for your support of our neighborhood farm. 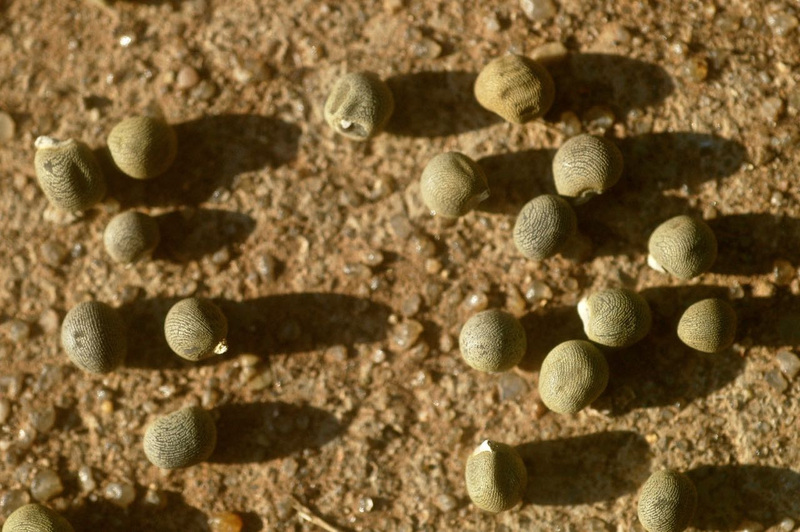 Okra seeds. 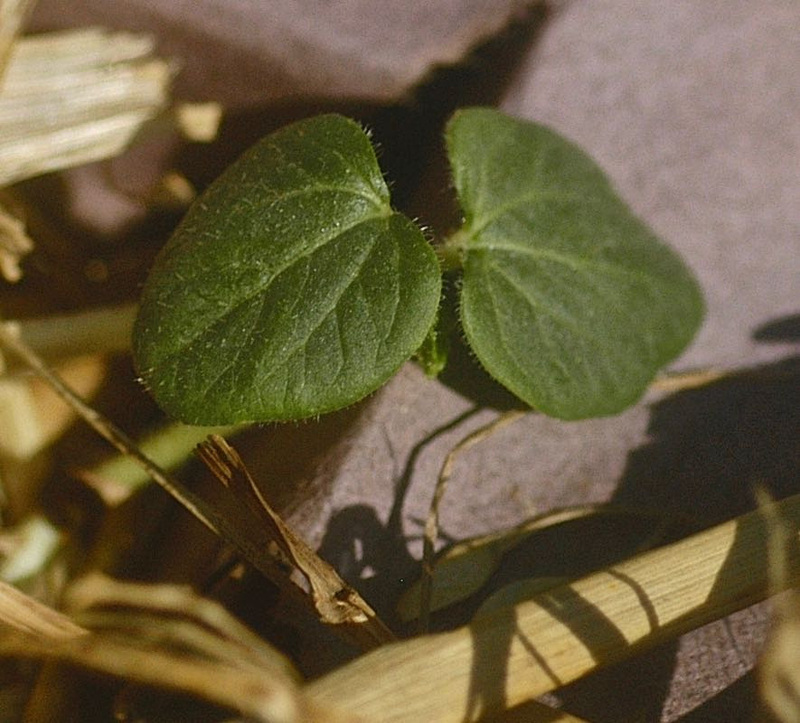 It is one of those everyday, almost unbelievable miracles that inside each seed is a tiny, partially developed young plant, or embryo, surrounded by a supply of food that it will need upon germination, and enclosed by a protective seed coat. 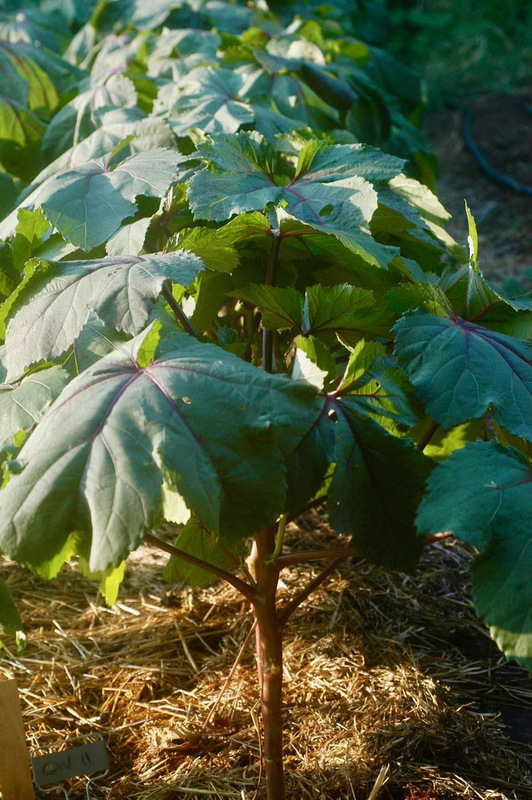 Okra can be started indoors and transplanted as a seedling. 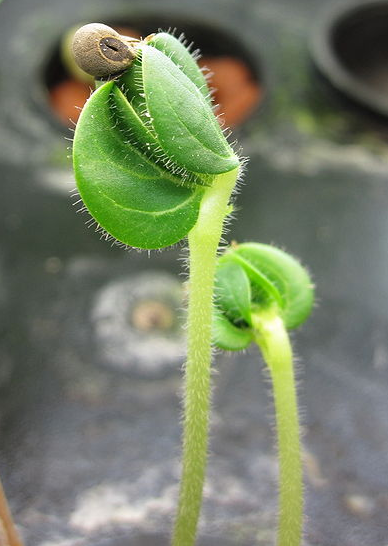 Or direct seeded outside, like this baby seedling that’s pushing up through paper mulch. 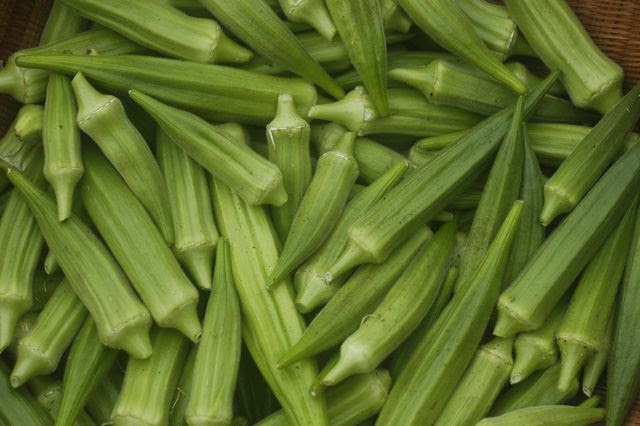 Okra plants thrive in hot weather and grow rapidly in Oklahoma summers. The plants keep growing taller, even as they start producing, and can turn into mini-forests. 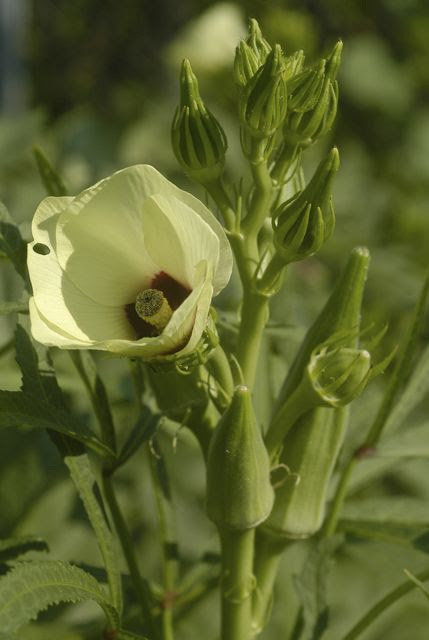 Okra is self-pollinating; each flower contains both male (anther) and female (stigma) parts. See the fuzzy yellow pollen coating the column in the center of the flower? It needs to fall onto the dark purple-red stigma at the top of the column if we’re going to have okra for supper next week. I often see bees visiting okra flowers, gathering pollen and spreading it around, giving a little extra boost in the pollination department. Okra flowers last for one day, then start falling off as the pods begin to form under them. Okra is in the same family as hibiscus; you can see the similarity in the flowers. 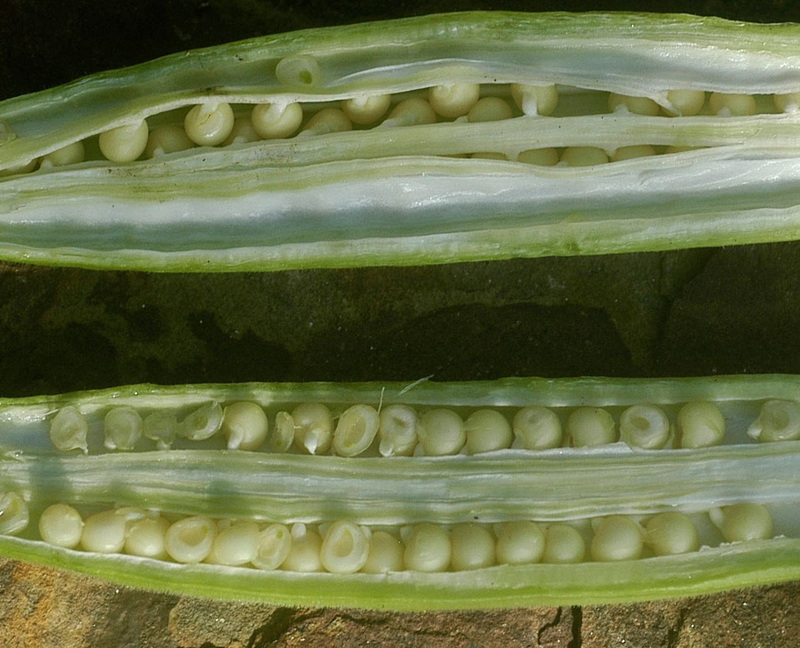 Okra produces plentiful amounts of seed! If these pods were left on the plant until brown and dry, the seed inside could be stored and planted for next years’ crop. When David Braden moved from Oregon, Italy and Santa Fe, New Mexico, to Oklahoma in 1997 to teach fifth grade math at Casady School, he put in a garden in his back and front yards. Sara, whom he had known since childhood when their parents taught in the same school and with whom he reconnected in Italy, where she worked as an assistant gardener while learning to make violins, had met Lia Woods, an Oklahoma City fiber artist. Lia, who was gardening a few blocks away in her front yard, would bike pass the other front yard garden in the area, and when she learned that’s where Sara lived, she stopped and asked David what he thought of her idea about building an urban farm. David and Sara, Lia, Lia’s spouse Allen Parleir and Terry Craghead became co-founders of CommonWealth Urban Farms in 2009. Composting is key. And David is key to the composting operation. “It’s the foundation of natural food,” he says. 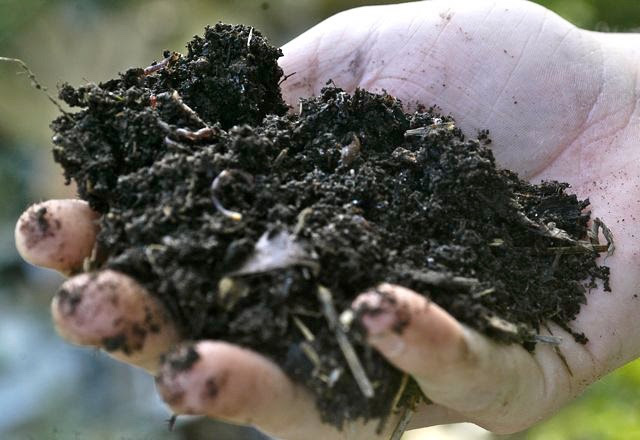 “Ideally it would not take so much input from outside the farm.” While CommonWealth puts all waste back into the composting operation, the greatest input is from twice-weekly pickups of date-expired produce from Whole Foods. While David teaches full-time and manages his own garden, he spends every Saturday and many of his days off in the summer at CommonWealth. He built the beds in the first half of CommonWealth eight years ago, is the farm’s primary Stump Grubber, works on the rain water collection, teaches in the Garden School, braids his abundant garlic crop which he shares with the CommonWealth Veggie Club and builds the stone walls. (He learned garlic braiding and stone wall building at that ancient farm in Italy.) 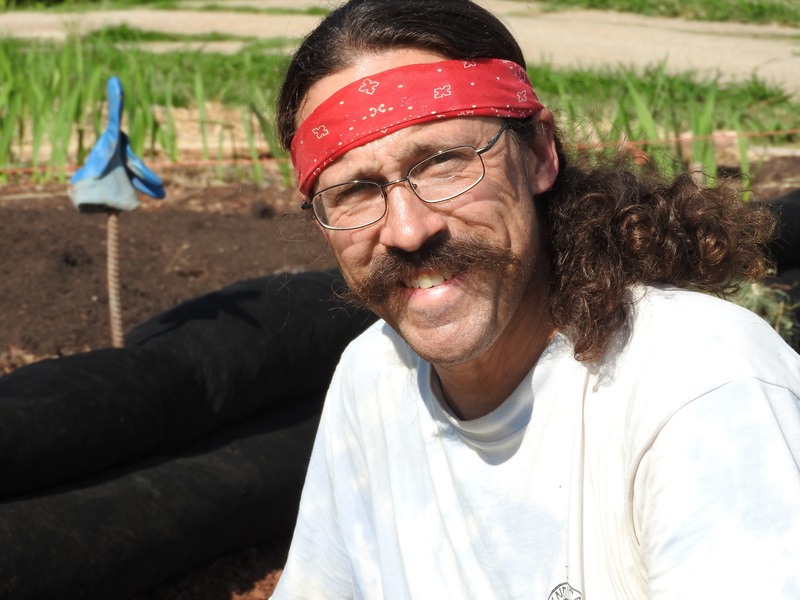 A core member of the core CommonWealth team, he and Allen Parleir, founder and director of the youth program Closer To The Earth, have built the composting operation into a process that produces CommonWealth’s nutritious, delicious food. Long composting in his own garden, he says he has gravitated to learning about it, reading books, learning more, doing the work. David’s life is consistent with his value of farming naturally. He doesn’t have a cell phone. He rides a bike everywhere, year-round. He likes to play guitar (one Sara made for him), sing folk music and play classical violin. Arriving at CommonWealth on Saturday morning is to step into the community of life. And never was that more true than recently when farmers taking a moment from the summer heat and veggie club members who had come to pick up their tomatoes, cucumbers, chard, onions and yard-long beans suddenly noticed something floating about. 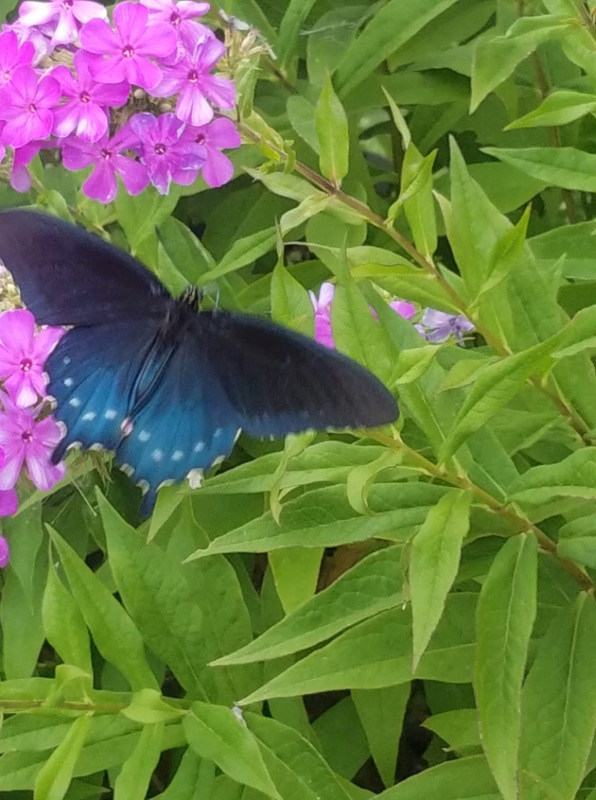 Neighbor and pollinator supporter extraordinaire Stephanie Jordan was walking by the farm then and confirmed the presence of a Pipevine Swallowtail butterfly—black, with blue markings. 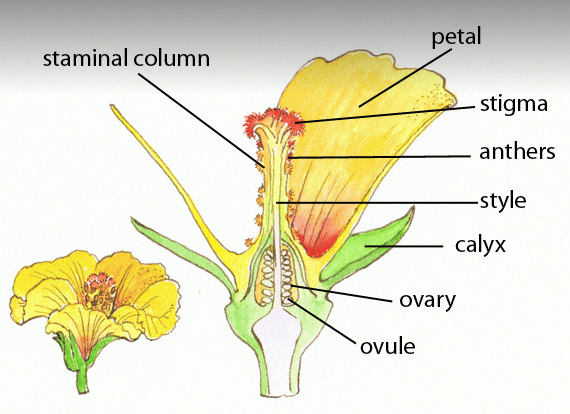 She was fluttering from one flower to another leaf, always lowering her bum—to lay eggs, Stephanie told us. ← Oh the Cucumbers! at CommonWealth Urban Farms!